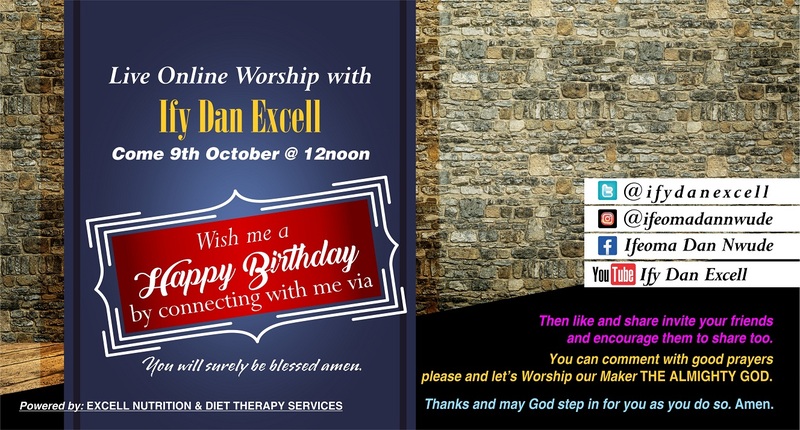 Come Monday, the 9th of October, 2017… from 12 Noon, worship leader Ify Dan Excell will be leading a live online worship session to celebrate her birthday in reverence and gratitude to God for His grace and unfailing love. 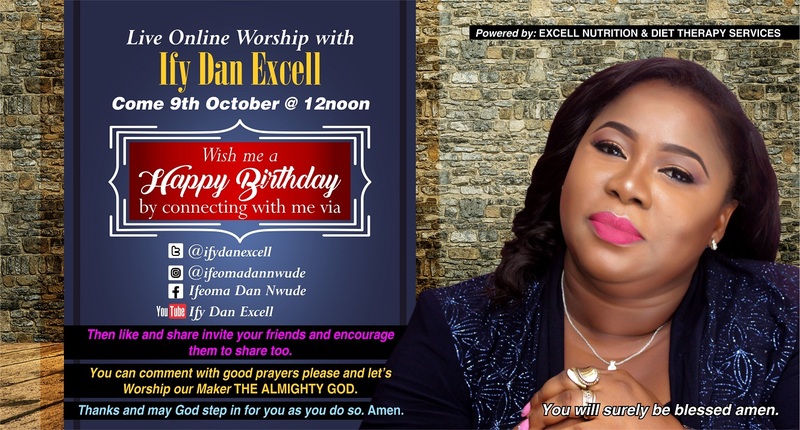 Ifeoma Dan Nwude (Nee Okafor) is a Nutritionist Dietitian, the MD Excell Nutrition and Diet Therapy Services NIG and DMD Excell Services Nig. 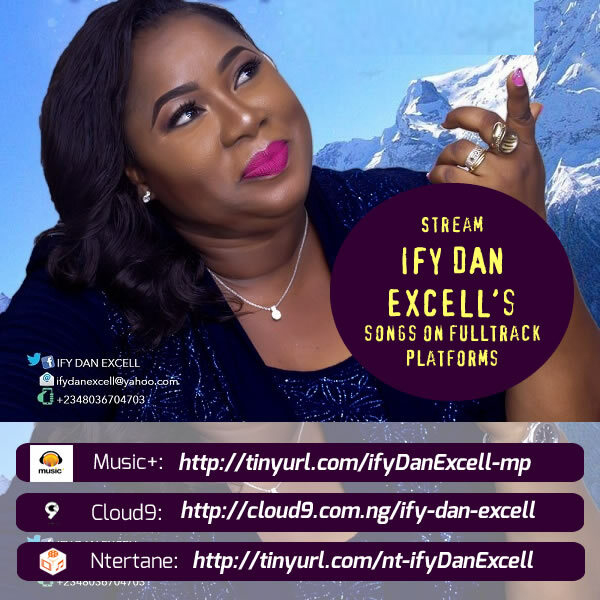 Ify Dan Excell is also an author, after serving at University of Port Harcourt Teaching Hospital (UPTH) Dietetics Department at the end of her service year, she wrote and launched a book “Complimentary Foods for Infants from Six Months of Age.” She has hosted many Nutrition Programmes and given several health talks in companies, Schools, Churches and on Television. Kindly connect with her on these channels and be sure to drop good prayers and wishes as we worship our Maker, The ALMIGHTY GOD.